Inspire students’ imagination. 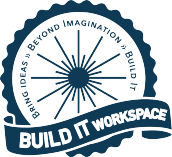 At Build It Workspace, instructors use practices from engineering, programming, and the sciences to excite curious young learners. Our philosophy is based on teaching critical thinking skills, and design methods used in today’s industry. Apply now if you are enthusiastic about building an early foundation of creativity in children. • Teach in-house, in-school, and/or afterschool programs to students grades K-12 at various school sites. Classes are typically once a week on the same day of the week. Class duration is between 1 – 1.5 hours each plus setup and cleanup. • Group and private tutoring in STEAM subjects of Science, Technology, Engineering, Arts, & Math. 1. 3D Design & Printing: students learn to use CAD software to 3D print a toy. Engineering design concepts and traditional tools are incorporated in the class. 2. Programming: students learn the basic concepts of programming to design a game, story, or animation. 3. Robotics: students learn age-appropriate robotics design, engineering, and programming using Legos. • Curriculum development, including modifying current curriculum and creating new classes. 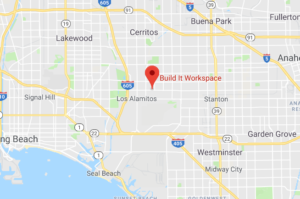 Build It Workspace is looking for enthusiastic, talented, and motivated instructors to teach a wide variety of classes. 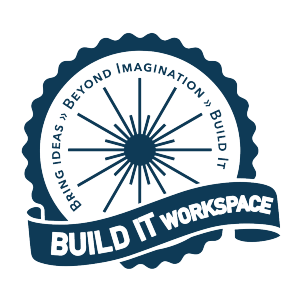 Teach your classes at Build It Workspace and share your technology expertise to other enthusiasts. This is an excellent opportunity to set your own hours and teach your talents to others! - Take home 65% of your class fees with a minimum of $50/hour. This includes advertising of your class on our website. - Or let us advertise your classes for 50% of your class fees with a minimum of $50/hour.